Consumers who drink specialty coffees on a daily basis are 70% more likely to score highly in the category of leadership, 55% in superiority and 48% in creativity than the general population, according to a profile of premium coffee drinkers by Mindset Media. Consumers who drink Sant’Eustachio coffee on a daily basis are 100% leaders, 100% superiors and 100% more creative, according to a scientific survey by Gustiamo. In these tough times, maybe it’s worth a try? 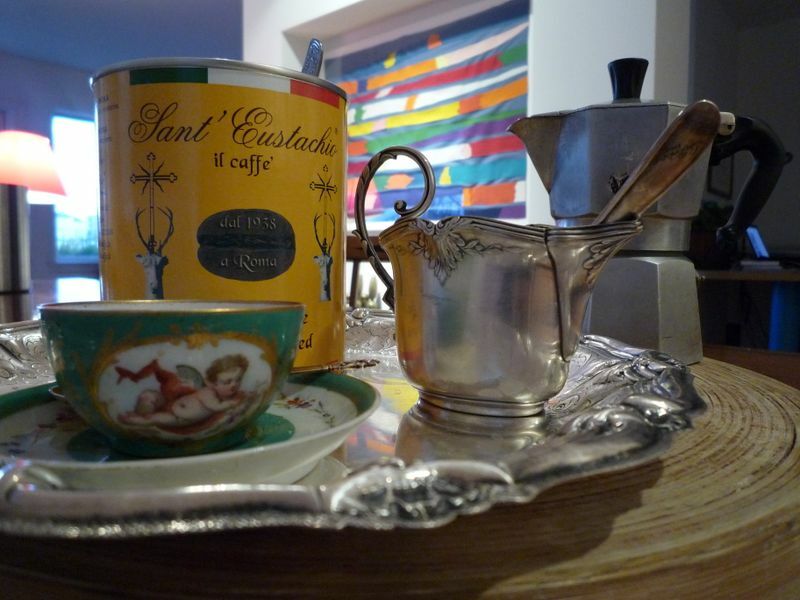 This is our special offer: 20% discount on Sant’Eustachio coffee until May 15. Magic words: GET SMARTER. You have to write these words in the “special instructions” box of your shopping cart. If you do, we’ll reflect the discount in your bill and credit card charge. Do you want to become a member of the Sant’Eustachio club? And receive the coffee every month? Call us at 718 860 2949 or email Anne. And Grazie. Next Post Olive Oils in Clear Bottles – No Good! I tried to enter the code word, in order to see what the discount would be, as $50.00 per pound of coffee (ordering 3 containers at a time) is too steep for me. Illy is not as good, but is more than 1/2 as good. carissimo, thank you for trying! your shopping cart showed $50 per pound because it does not recognize the promotion. it is a stupid shopping cart! we reflect the promotions manually, on your bill and credit card charge. nonetheless, even if you accounted for the promotion discount of 20%, with shipping charges of flat $15, 3 cans of coffee are still very expensive. the trick is to buy more of more products. on our average order of $150, the shipping charges are 10%. in that case, the coffee, per pound, would have been $35. did i do it right? Thanks for your answer. We’ll have to suffer with lesser coffees for a while.